The worst potential impact on Canada would be if Saudi Arabia canceled Canada's largest arms deal, a $15 billion deal with Saudi Arabia in 2014 to export its light-armored vehicles to the kingdom. Toronto: When Saudi Arabia ordered its citizens studying in Canada to abruptly leave the country it left institutions like Techno Canada in the lurch, forcing the small Toronto business school to scramble for new students in the middle of the summer. But that doesn’t mean the school’s director wants his government to abandon its advocacy of civil rights in Saudi Arabia, which prompted the worst diplomatic rift in history between the two countries. Similar sentiments have been expressed in recent days across Canada as schools, hospitals and even some businesses largely shrug at Saudi Arabia’s decision to punish the government of Prime Minister Justin Trudeau over tweets supporting two jailed dissident bloggers. The Saudi government expelled Canada’s ambassador to the kingdom and withdrew its own ambassador on Sunday, days after two Canadian tweets in support of arrested activist Samar Badawi, whose writer brother Raif Badawi was arrested in Saudi Arabia in 2012 and later sentenced to 1,000 lashes and 10 years in prison for insulting Islam. Then it halted flights by its national airline and ordered the students home, a decision that affects institutions as small as Techno Canada, which has just 40 people enrolled, to major institutions such as the University of Toronto. But even though the Saudis are a significant presence in Canadian hospitals and in higher-education, contributing about $1 billion to $1.5 billion Canadian dollars (US$770 million to US$1.1 billion) to the Canadian economy last year, the overall effect is minimal since other foreign students can easily replace them. Trudeau, a staunch defender of woman’s rights, is not backing down and has received only limited criticism from domestic opponents. 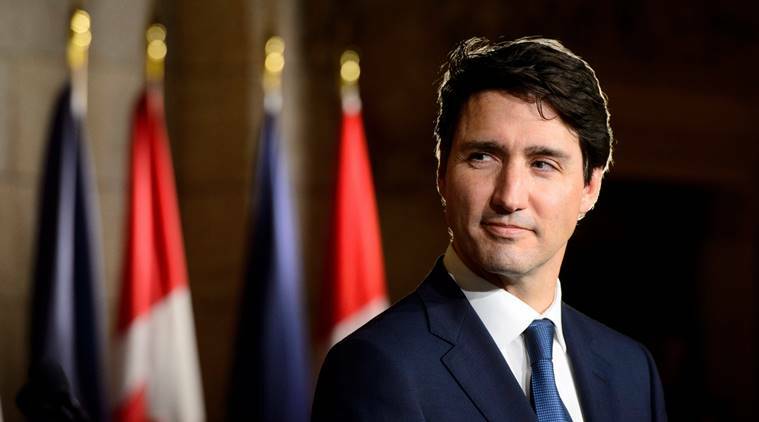 “Canadians have always expected our government to speak strongly, firmly, clearly and politely about the need to respect human rights at home and around the world,” he said. Financial markets did not appear hurt by the dispute amid reports that the Saudis intended to unload Canadian assets. There were rumors that Kingdom Holding Co. intended to sell its 47.5 percent stake in the Toronto-based luxury hotel chain Four Seasons. A company spokeswoman, Sarah Tuite, would only say that “day to day operations” have not changed. “It is business as usual,” she said. Bilateral trade between the two nations is just $3 billion a year. Canada does get 10 percent of its imported crude oil from Saudi Arabia, but even if the dispute escalates further Saudi oil could potentially be replaced with U.S. shale oil or oil from Canada’s oil sands region, the third largest oil reserves in the world. Saudi Arabia’s energy minister said oil sales to Canada will not be affected. The worst potential impact on Canada would be if Saudi Arabia canceled Canada’s largest arms deal, a $15 billion deal with Saudi Arabia in 2014 to export its light-armored vehicles to the kingdom. Jim Reid, a union leader who represents 500 workers at the General Dynamics facility in London, said that could lead to job losses. Robert Bothwell, a professor at the University of Toronto, said anything Crown Prince Mohammed bin Salman does to harm Canada will also harm a range of Saudi interests including their investments and students. “The Saudi monarchy is playing around with thousands of Saudi subjects, slaves. Their interests are not being regarded. They are just pawns and that’s very much to be regretted,” Bothwell said.